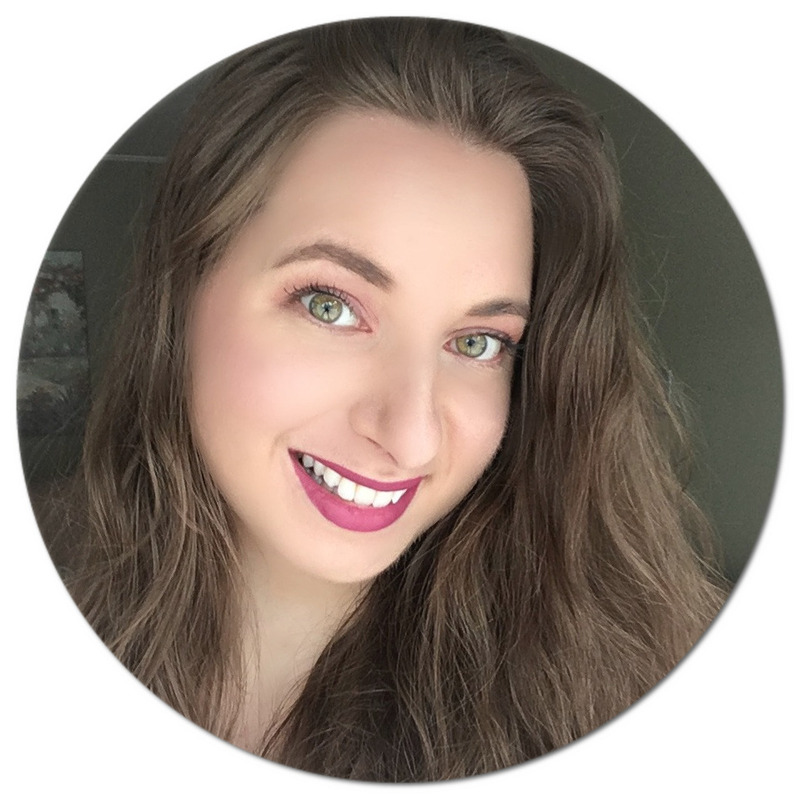 I am so honored to be the Canadian Beauty Bloggers Featured Blog of the Month (read all about it here! ), and one thing that the founding members do each month is write guest posts on each other's blogs on a given theme. They invited me to take part in this month's round up, which is all about transitioning to warm weather. Today, I have fellow Canadian blogger Nicole from Nicole About Town sharing her go-to summer lip products with us. Take it away Nicole! So like a lot of women, once the seasons begin to change and the warmer weather begins to shine through, I make some changes to my my makeup routine. The most notable of those changes is the various lip products I use. For me, warmer weather is all about light, renewal, fresh, and soft. This translates for me into using completely different lip products than I did during the winter months. Does this mean that the colours that I wear are different? Yes, it does. But more than just the colours are different; the formulas and types of the lip products themselves are different. I tend to switch from the matte formula to a cream formula, and from lipstick to gloss. Now don't get me wrong, I still reach for a matte shade from time to time, and I do still wear lipstick as well, it's just that I don't reach for them nearly as often and they are no longer my 'go to' lip products. Here are some of the formulas that become staples for me during the warmer months. Lip Gloss - While I tend to stay away from lip gloss during the colder months, I gravitate to it during the warmer weather. I usually end up having at least three to four different shades in my makeup bag at all times. This helps me be able to make quick wardrobe changes throughout the day. You'd be surprised just how different your makeup can look just by switching up your lip gloss. I always keep a variety of shades on hand, but having a neutral, coral, pink and a deeper berry shade are always a must for me. Some of my favourite formulations are MAC's Dazzleglass, Dazzleglass Creme, Cremesheen Glass, and Illamasqua Intense Lip Gloss. Key shades for me include: Provocateur (Revlon), Fuchsia Flash (Smashbox), Bare Necessity (Dazzleglass), Ban This! (MAC), Boost (Illamasqua) and Over Indulgence (MAC). Lipstick - I would be lying if I said that I stuck to lip gloss 100% of the time. While lip gloss is my usual go to during the warmer weather, I do still wear lipstick. When reaching for my lipstick during the warm weather, I want it to be two things: creamy and hydrating. For that, I tend to reach for cream, frost, glaze, and lustre formulas. For those of you who are up on all things beauty related you will recognize those formulas as ones all being made by MAC. Indeed, with a few exceptions, I reach for MAC lipstick more than any other. Not only do I love the formulations, but I absolutely love the fact that they come in such a wide range of colours. Key shades for me include: Dressmaker (Lustre), Made to Order (Lustre), Lickable (Cremesheen), Cockney (Lustre), Head in the Clouds (Frost) and Rockout (Slimshine). Bare - That's right, you heard me. Sometimes during the warmer weather I dare to go bare....on my lips that is. Sometimes the makeup look just calls for it, and sometimes I'm just being lazy. Whatever the reason, it's only during the warmer weather that you will find me without any lip gloss or lipstick. I simply just throw on my favourite Aide Skincare or EOS lip balm and I am ready to go. Matte - I know I said that I don't wear a lot of matte lips during the warmer weather, but I do wear them sometimes. When I do, I always wear fun and bright shades that just scream look at me now. Key shades are all from MAC and include: Ruby Woo, Heroine, and Flat Out Fabulous! What about you, do you change up your lips during the warmer weather? Those are some great picks for lipsticks though! Is it weird that I LOVE looking at pics of Nicole's lips? It is... anyway, these are all gorgeous and I especially love the matte lipsticks! Great picks! Every shade just looks so gorgeous on Nicole! Thank you Stephanie. I'm blushing! Thanks Laura. I never used to wear anything remotely close to purple and now I can't seem to stay away from it! Thanks for having me Natalie! It was such fun doing this!